Raised by wolves in the depths of English woodland, Breakspear soon came to love the natural rhythms of the forest. Thrust into the city as a pup he foraged for beats in the urban sprawl, occasionally finding a kick or bass slide which reminded him of the forest. Now he has mastered his biomechanic arms and digital brain he can finally return to the trees with added vigour and become complete with the beat. William has a reputation for creating the most primal sounding high tech music you will ever hear. Analogue samples, 8 bit fuzziness and old school booming basslines can all be heard in any one of William’s multi genre workouts. K+Lab is no stranger to Empathy. In 2010 he gave us “The Whole World’s Ill” which featured on glitch and breakbeat charts across the world. 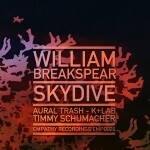 His blend of dirty basslines, 80′s hip hop breaks and electro freshness is a perfect complement to the Breakspear sound. Their two collaborations on this release will undoubtedly find a welcome home in any good breakbeat collection. Cut La Roc’s Rocstar Records and DJ Icey’s label Zone, Timmy has made his mark on breakbeat world wide. Moving into 2011, he explores the 4/4 bassline genre with some crisp biscuits due for release soon, including a remix of DJ Love due out on Ali B’s AIR imprint. Greg Churchill completes the release with his Aural Trash remix – Putting together parties and radio shows since 1984. Known for his strong commitment to the electronic music scene and upcoming talent, Greg Churchill is undoubtedly a legend within the NZ dance world. He has a long list of production credits on labels such as Underwater Records, Gung Ho, Craft, Azul, Data and Cosmonote Blue. His collaboration with William Breakspear features his trademark electro clash sound with a razor like glitchy edge. 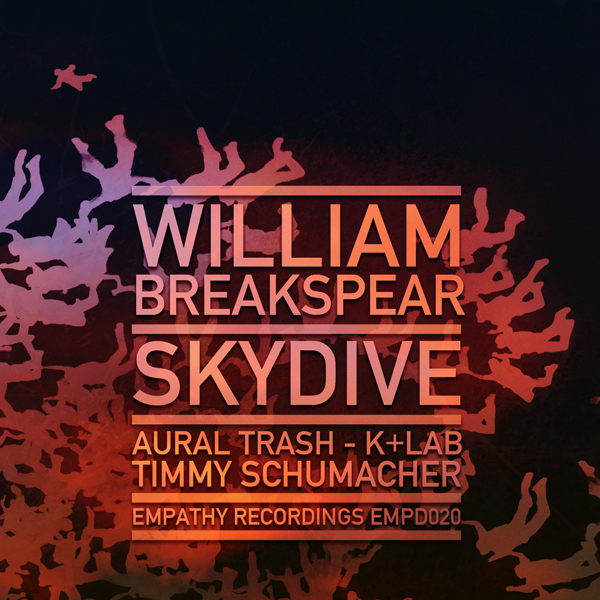 The Skydive EP is out on Feb 14 and comes complete with 6 tracks of glitch breakbeat derangement… you’d be a fool to miss out. Available through the usual outlets: http://www.junodownload.com, http://www.addictech.com, http://www.trackitdown.net as well as new stores http://www.itunes.com, http://www.amazon.com, http://www.beatport.com and more.